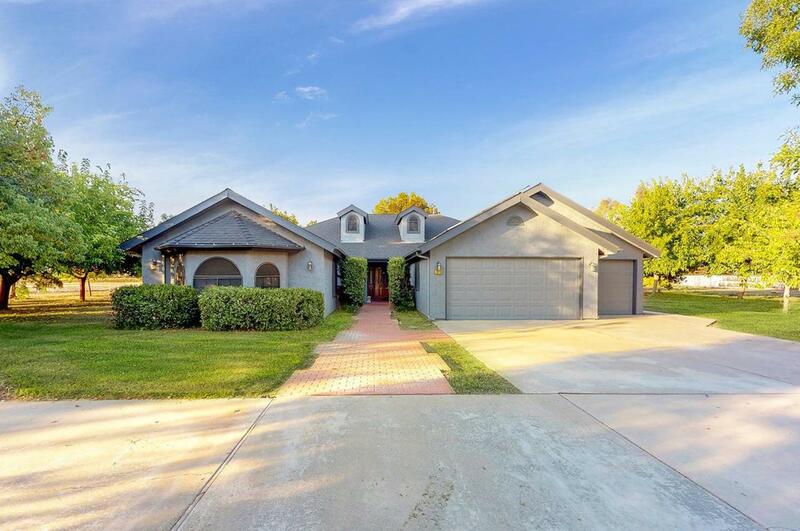 Wonderful 3 bedroom, 2 bathroom home on a prime, 2.27 acre lot in Clovis near Freeway 168 and Clovis Community Hospital. Features include spacious bedrooms, formal dining room, game room, 3-car garage, a paid-for solar system, water filtration system, new HVAC dual packs and duct work, sun screens, 10 year old composition roof, owned 500 gallon propane tank with new valves and a 60 gallon per minute well! The kitchen has just,(4.5.19), been updated with granite counters, stainless appliances, painted cabinets and stainless sink. A sliding barn door has been installed between the master bedroom and bathroom. Listing provided courtesy of Lance Greenwood of Purplebricks Realty Inc.